Between Summerville and the Alabama line on Georgia Highway 114, Lyerly is located in one of the most scenic areas of Northwest Georgia. 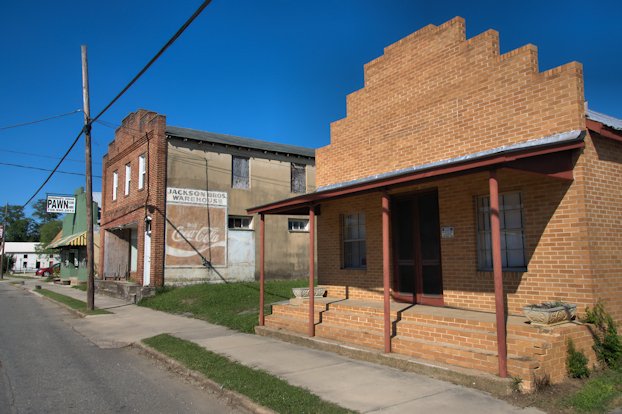 A variety of early- to mid-20th-century structures survive in varying states of repair. It’s not known exactly when Lyerly was established but has close ties to the nearby lost towns of Glenwood and Melville. The Chattanooga Rome & Columbus Railway built a depot in what would become Lyerly in 1888 and the town was incorporated in 1891. It’s thought to be named for Tennessee bank president Charles Abner Lyerly, who had investments in the area. Marie Hanna writes: The green building is owned by Dickie Tanner. Years ago it was the Dinner Bell Cafe. 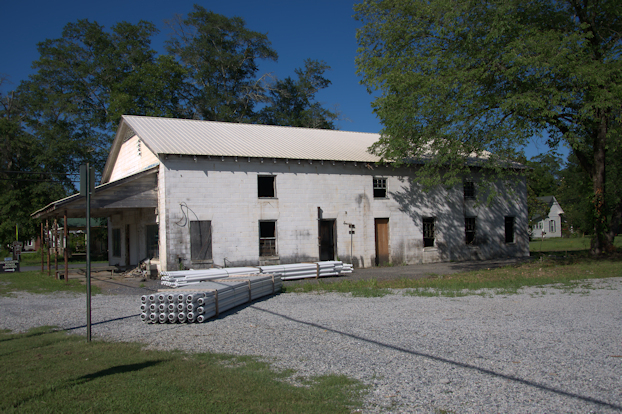 The Tanner’s used the building for their glove mill. Later a Christian Book Store and bakery was on the right side of the building and a church was on the left side of the the building. Derek Reynolds, writes via Facebook that this was a sausage factory in the 1940s. 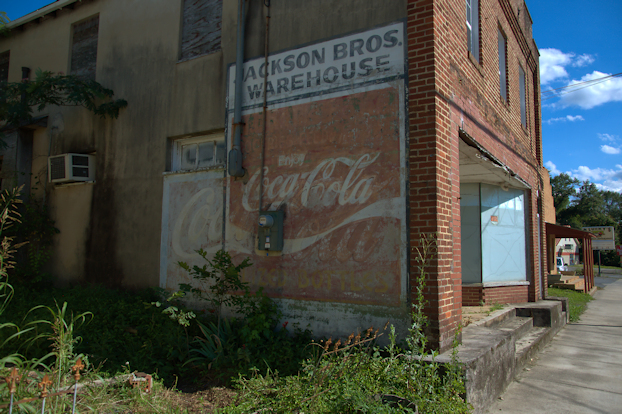 Marie Hanna adds that it was later known as the Ragland gas station and was used to store old cars. The Raglands donated to the city a few years ago. 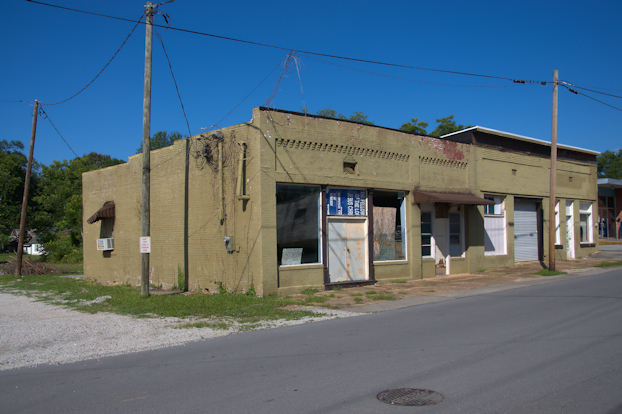 Billy W. Gilliland: The building Marie referred to as Ragland gas station is partially correct. It was a gas station, but was officially Ragland’s garage. They worked on cars, trucks and tractors, and fixed flat tires. They also did welding and anything else you needed done. Selling gas was probably just a small part of their business. You could always count on them for quality work and reasonable prices. 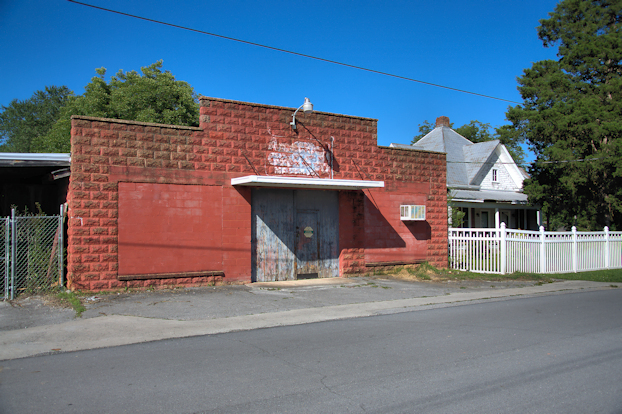 Prior to that it was Sittion’s garage.